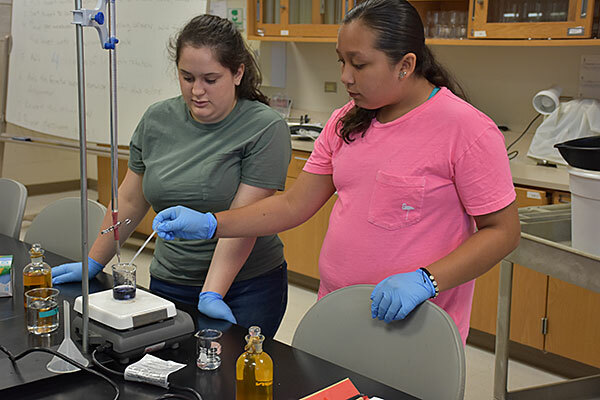 Liberty Academy junior Brooke Finley, left, and Cali Marroquin, a Patti Welder Middle School seventh-grader, add a solution to their water sample Thursday as part of an experiment during the UHV Aquatic Science Summer Camp. The students were two of seven middle and high school students who took part in the camp. Seven middle and high school students bent over lab equipment, concentrating as they added liquids to beakers and watched the solutions change colors from yellow to blue to clear. The Trull Foundation of Palacios awarded UHV a $6,000 grant to hold the camp. During the camp, students took a trip to the Tres Palacios River outside Victoria and collected water samples. The students then analyzed the samples and compared the oxygen levels in the water to other samples created in the lab. 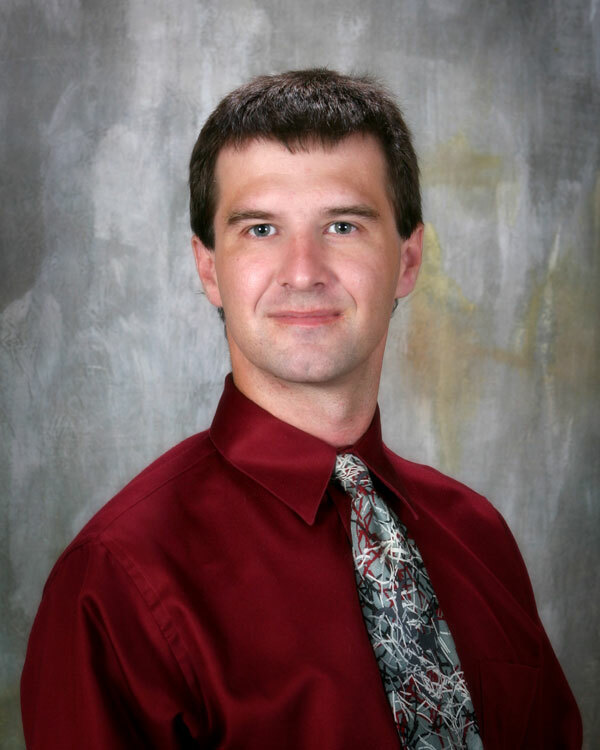 The experiments were designed to show how fertilizer used in growing plants on land can cause oxygen depletion in aquatic ecosystems that end up killing aquatic organisms, Sobolev said. For St. Joseph High School sophomore Erin Dent, the camp was an interesting look at how the environment works and some of the unexpected problems it can face. Brooke Finley, a junior at Liberty Academy, heard about the camp through her science teacher. Although she is taking some college courses to earn dual credit, this is the first time she has been able to work in a college science lab. Sobolev hopes to be able to offer the camp every year. In addition, the university is planning to host a similar camp on Saturdays in the fall through a grant from the National Oceanic and Atmospheric Administration.